Where there are any gas appliances in the property provided by the landlord, the landlord must ensure that annual gas safety checks are carried out. These checks must be carried out by a gas fitter/engineer who is registered on the Gas Safety Register (which has replaced Corgi). A copy must be given to the tenant before the tenant moves in and the check must have been carried out within the 12 months before the new tenant takes up occupation. Checks must be done annually at no more than 12 month intervals and copies of all certificates for checks must be handed over to the tenant. If landlords fail to do this they may lose their Section 21 rights in England. Where a landlord controls flats, bedsits or hostels there must be a risk assessment in place to comply with the Fire Safety Order. It should be in writing. A statutory risk assessment is not required for shared houses or single dwelling lets. Before a tenant moves in there must be an energy performance certificate in place for most types of property. A copy of the certificate must be given to any tenant who moves in to the property. If not you cannot serve a Section 21 notice for a new tenancy in England after 1st October 2015. If you take a deposit from a tenant under an assured shorthold tenant, the deposit must be protected under one of the three tenancy deposit schemes and the prescribed information regarding the deposit must be given to the tenant within 30 days of receiving the deposit. If your property is a house in multiple occupation (e.g. bedsits, shared house or a shared flat) then an HMO licence may well be needed from the local authority. Landlords should check with their local authority on what licencing requirements, if any, that they have. If they do not they may not be able to serve a Section 21 after 1st October 2015. If your property is a house in multiple occupation of any kind then you must have a five yearly electrical safety check carried out by a competent electrician even if you do not need a license. This will cover shared houses, flats in multiple occupation, bedsits, hostels and certain converted blocks of flats. These are blocks of flats which are not converted in compliance with 1991 (or later) building regulations and less two/thirds of the flats in the block are owner/owned. Where a property is provided with electrical appliances it is the landlords responsibility to make sure that they are safe at the outset of letting. Where fire alarm systems are provided in a house in multiple occupation because the landlord is responsible for insuring fire alarms are checked regularly. You must also make sure that the means of escape from the property (normally the halls stairs and landings) are unobstructed. Houses in multiple occupation include shared houses, flats in multiple occupation, bedsits and certain types of converted flats. See under number 7 above. Landlords in England are required to provide smoke alarms on every floor of their property and a carbon monoxide alarm in every room with a solid fuel source. As of 1st October 2015, upon starting a tenancy landlords are now required to provide the most up to date copy of How to rent: the checklist for renting in England. If they haven&apos;t they will not be able to serve a valid Section 21 notice in England. Landlords are required to perform a risk assessment for Legionaire&apos;s Disease. If they don&apos;t do this they could be issued with a fine. However, the amount of risk assessment required depends on the type of property and landlords should be wary of claims that all properties need extensive water sampling tests. You must not harass your tenants. It is unlawful to evict a tenant without a Court Order. You cannot throw a tenant out because he is in arrears with his rent or breaking the terms of his tenancy. You must go to Court to get a possession order. Any possession order obtained must be enforced by the Court Bailiff. 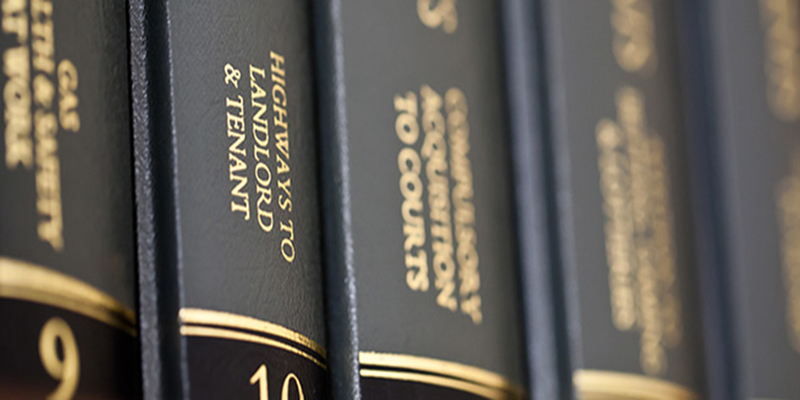 Under the Consumer Rights Act 2015 it is now a legal requirement for all letting and managing agents in England and Wales to publicise details of their fees. They must also give the name of the redress scheme of which they are a member. Membership of a redress scheme is compulsory for agents. Customer Service is taken very seriously at Paul Simon and in light of this we have a four stage complaints procedure in place.